Jayaram is an award-winning film actor from Kerala, India. 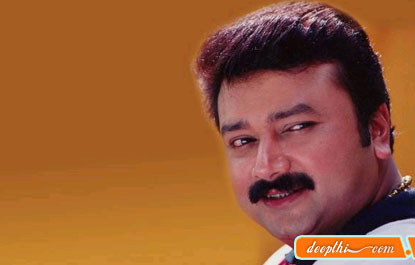 Jayaram is one of the stars of Malayalam cinema industry and has been active in film since the 1980's. He is a tamil brahmin hailing from Perumbavoor near Ernakulam.He is known for his great mimic ability and his very good looks. He is married to actress Parvathi who is not active in films now.Their son Kalidas who is a child artist has won National award for Best Child Artist for the year 2003.They have a daughter, Malavika ,too. Jayaram is settled in Chennai. Jayaram is very well known for his interest in Elephants and is a good Chenda performer. Jayaram was a mimicry artist in Kalabhavan,a leading professional mimicry troupe.Later he switched over to Malayalam film industry.He made his debut in Aparan in 1988 directed by late Padmarajan who was his mentor. Despite his forte being comedy, he has excelled in a various categories of films.Within few years he emerged as a superstar and renderred superhits with directors Sathyan Anthikkad,Rajasenan,Kamal with whom he associated more. He was also considered for a National award for the Best actor which was won by another malayalam actor, Murali, that year. He was conferred V.Shantaram Award for his performance in Shesham. He is the favourite for all the family in Kerala. He has acted in a few tamil films also which were moderate success.His rapport with Kamal Hassan is very well known.